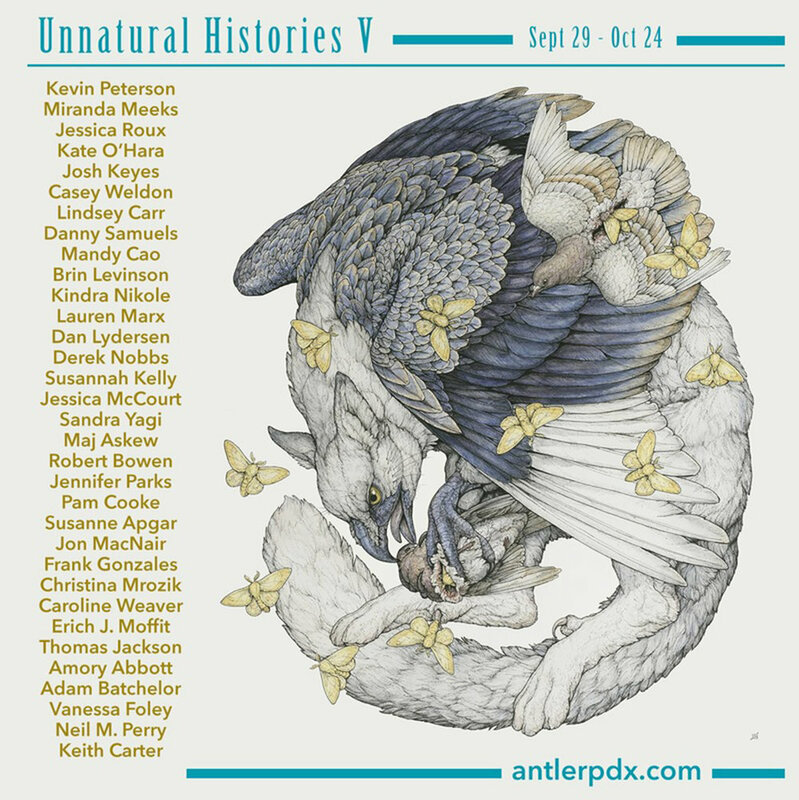 Piece for the show Unnatural Histories Five at Antler Gallery in Portland. Each artist created a piece depicting a different mythical creature of their imagination. This piece is called Pipistrello della Morte, after an Italian legend. According to the myth, these ancient bat-like creatures inhabit the mountain forests of central Italy and terrorize the local monasteries. It's 16x20, done in colored pencil, acrylic and iridescent watercolor on wood panel.